Brighten up your Memory! Flashy RAM Shootout. So, with the addition of the Panram Light Sword to my local computers store’s catalog recently, I decided to write a blog post about flashy RAMs. To be more exact, RAM with LEDs. Well, as you’ve known, the RAM sticks would be clearly visible if you have a windowed case. For a very long time they have just been simple, ugly green sticks without much to write home about, but all that has changed. Much like the rise of fashion, nowadays, PC lovers are no more content with just performance. Instead, they want their machines to be special, they want their rigs to be unique. Now that they have enough function, they start looking for form. Thus, now everything must have some sort of nice, cool-looking cover, which acts both as a cooling/protective component and as a dress for the components, and in a way, a dress for the whole PC. From graphics cards, to RAM kits, to motherboards, and even HDDs. And then comes the lights. Over time, all of those “covers” develop LEDs. 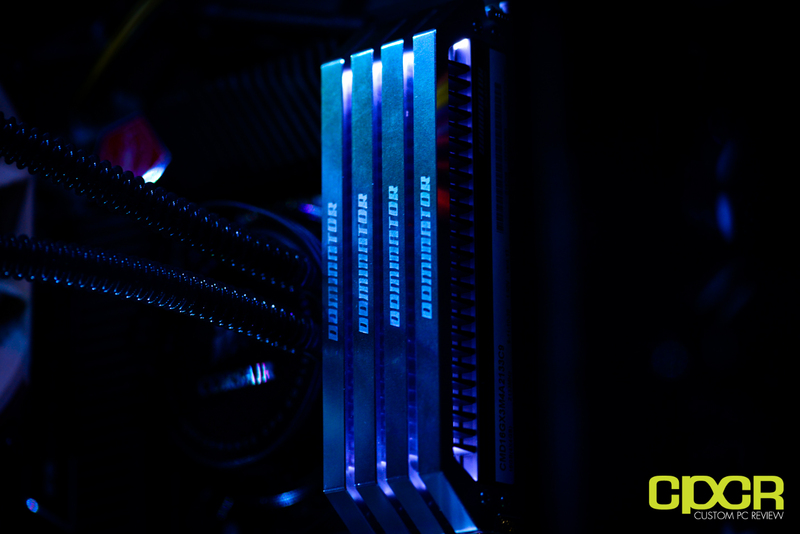 LEDs are everywhere, from fans, to CPU water blocks, to graphic card shrouds, to motherboards. And of course, RAM too. Everyone of us likes to be fancy, thus today I’ll list some of the LED RAMs I know for all of you lights lovers out there. Let’s start with my reason for writing this post in the first place. The Panram Light Sword series is the cheapest of all the fancy RAM series I know, and thus appeals a lot to casual users (though… I doubt any “casual user” would get LED RAMs in the first place…). I guess that’s why so far it’s the only LED RAM kit sold in my area, which is in a developing country with, of course, a lot of casual users. Well, aesthetics wise, this kit seems to be nice. 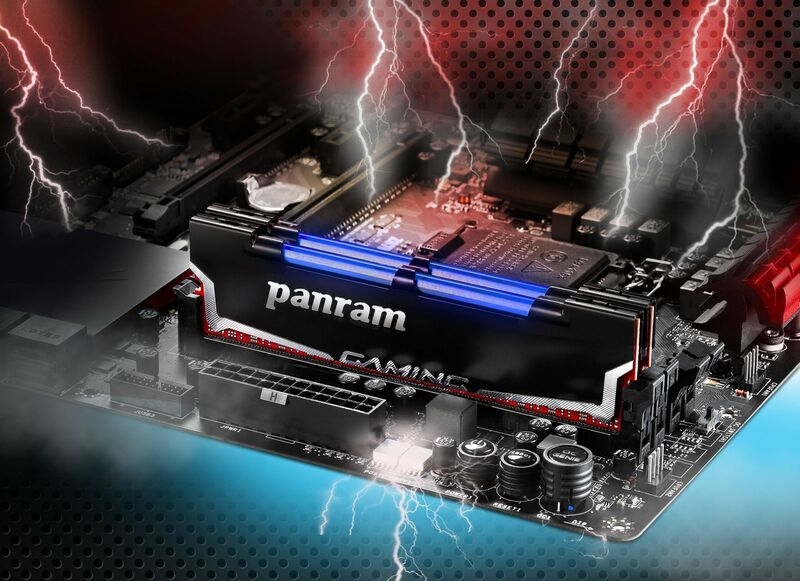 I can’t say anything about its performance and quality though, since it’s cheap and Panram is not really on the very top of RAM brands, though they do have a history of making RAM. Going for Corsair’s RAM is your way of saying “No! I’m a person of the upper class, screw your bang-for-buck BS!”. That’s not because they are a luxuries brand pretending to be a tech company (like Apple), but because, by paying them a small premium, you’ll get a very stable and elegant product. It may not have higher specs, but it will give you better quality than any value kit can deliver. Plus, Corsair’s products (and NZXT’s, for that matter) are often Gor. Ge. Ous! They look very modern, yet somehow still noble, unlike many childishly aggressive-looking gaming products out there. The Dominator Platinum is no exception. It looks the most refined out of all the LED RAMs here, and it goes for a cool, mysterious shower light effect instead of a simple bright light, though optional light kits are available too. However, this RAM kit is definitely not for the average user, as it’s extremely expensive for its specs (losing maybe only to the Avexir Raiden discussed below in price), and therefore definitely not suitable for bragging about how you built a strong PC yourself for a cheap price. But like I said, once you go Dominator Platinum, you don’t care about petty things like value for money. Aaaahh… Crucial, your go-to value RAM manufacturer. 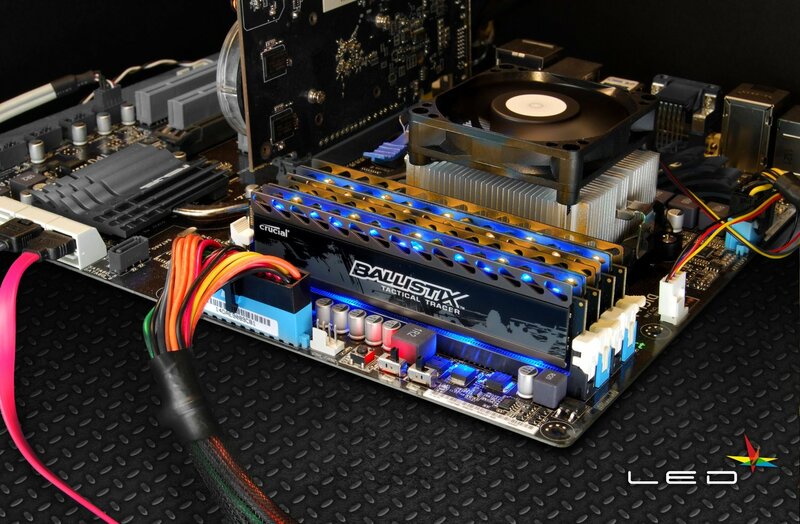 Like the other Ballistix series, the Ballistix Tactical Tracer guarantees good performance at a very cheap price, and it just also happens to have LEDs. To be honest though, I think the LEDs and even the heatsink look quite cheap, and I wouldn’t rely on that to light up my case at all… So yes, in my opinion this looks even worse than the other budget LED RAM kit here, the Panram Light Sword. But unlike the Panram, at least with Crucial your performance is kinda guaranteed. Anyone remember these lightning sticks? 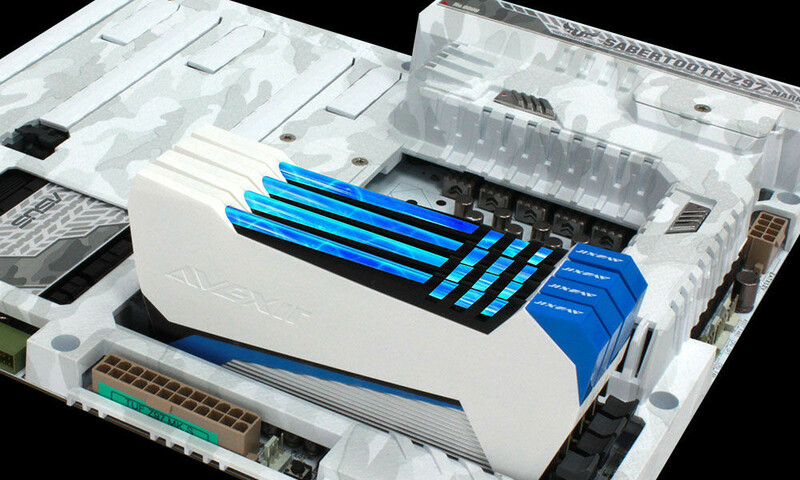 When it comes to flashy RAM, Avexir is the kingpin. They add LEDs into any RAM kit they deem “not standard” (and, as you should’ve known, for enthusiasts “standard” = “sucking”). The Avexir Core (left), Avexir Blitz (middle), and Avexir Raiden (right) series all have LEDs on them, and like the Dominator Platinum above, you can expect to pay a premium to get those sticks, too! Plus, the Core and the Blitz series also have many designs themselves. Although I’d love to see that happening! Gosh, I’m a fan of SHMUP! Why hasn’t it been released yet?! They promised to release it by 2015, and the trailer dated back to 2014! 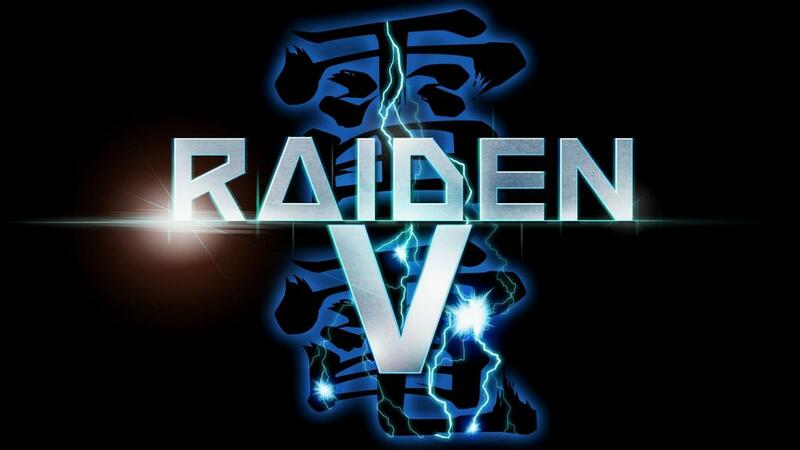 Ehem… so anyway, about the Avexir Raiden, it is the king of fancily lit RAMs. What makes it so special? Well, absurd price aside (you expected it, didn’t you…?) , it doesn’t just have LEDs, but effect LEDs! The light bar on this thing can actually simulate a lightning effect! You can’t get much cooler than that. Plus, this kit is HUGE! While the other RAMs (and generally every computer component) strive to get smaller and smaller over time, this thing stands colossal compared to all other RAM modules out there with pride! That’s because half of its body size are actually dedicated to the “lightning tube” itself! Naturally, the performance and quality of this kit is also acclaimed, but the main reason you’d even consider purchasing this is because of the infinite coolness! And… that’s it for my post on LED RAMs! Sadly, I only know those models, hehe… ^^ If any of you know any other model of LED RAMs, please enlighten me! Well then, see you another time, and thank you for reading this! Hope you enjoy building your new PCs with all the lights!